Labeled graphs are a subclass of the class of all diagrams which are widely used in various disciplines. In consequence, graph grammars have been developed as powerful and intuitive means for the generation and manipulation of such kind of diagrams. As the operations of graph grammars are local and non-deterministic in principle, additional concepts of control are required. 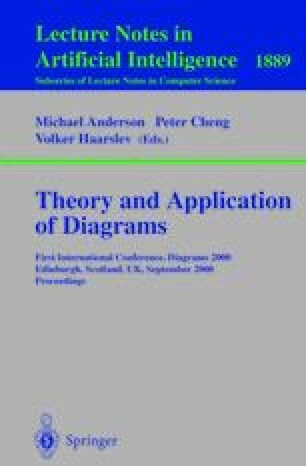 While textual control structures for the application of graph grammars are well-known already, more intuitive diagrammatic control mechanisms are still missing. We use a combination of the UML Activity Diagrams and the earlier Dijkstra Schemas for this purpose. We present a control flow editor which the user can use to build up diagrammatic control structures for the execution of graph grammatical diagram constructions. The control flow diagrams are interpreted and animated such that the the user can observe an automatic diagram construction running along the specified control flow diagram.